Monday evening we met up with our friend Marti, Woodstock class of '71. We saw her in Mussoorie in 2011 after 40 years and renewed our acquaintance. On our trip to Australia last year, we stayed with her for a few days in Mullumbimby. So seeing her here was the third time and in the third country in four years! We rode the scooter to the area where she stays, northwest of the old city. We ate at a new place, Cainito Homemade (no idea what the name means). It is in the location of a long-standing place called the Pasta Cafe, which we found on our map. We enjoyed visiting so much we forgot to take any pictures of us together! We ordered three dishes to share. 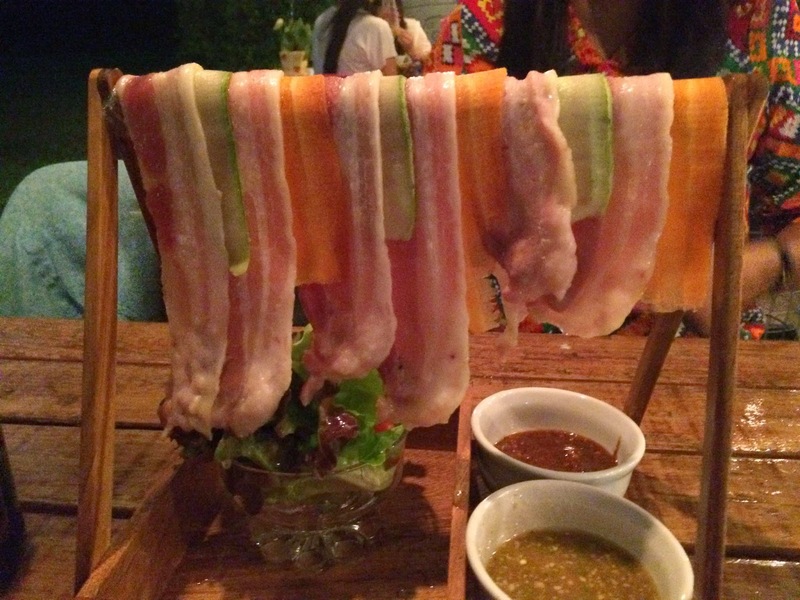 The first one out was steamed pork, which turned out to be bacon. It looked totally uncooked, but had actually been steamed. 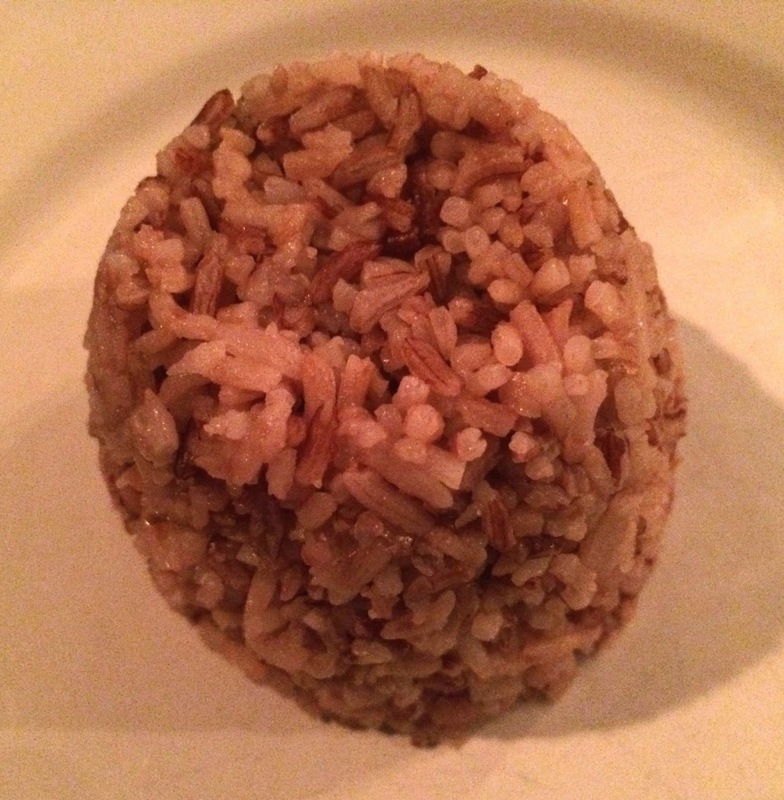 They served red rice, which is more nutritious and flavorful than white. 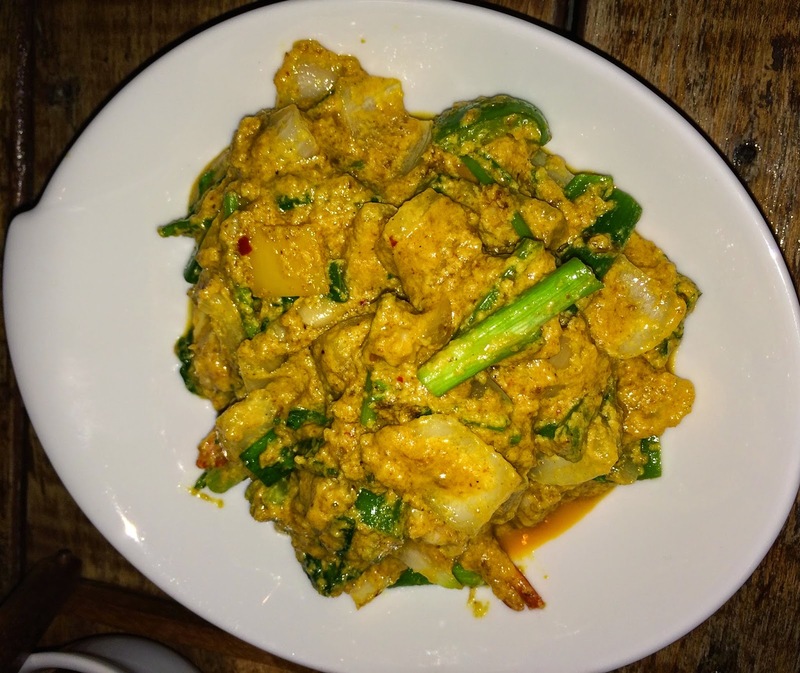 The shrimp curry was very tasty. 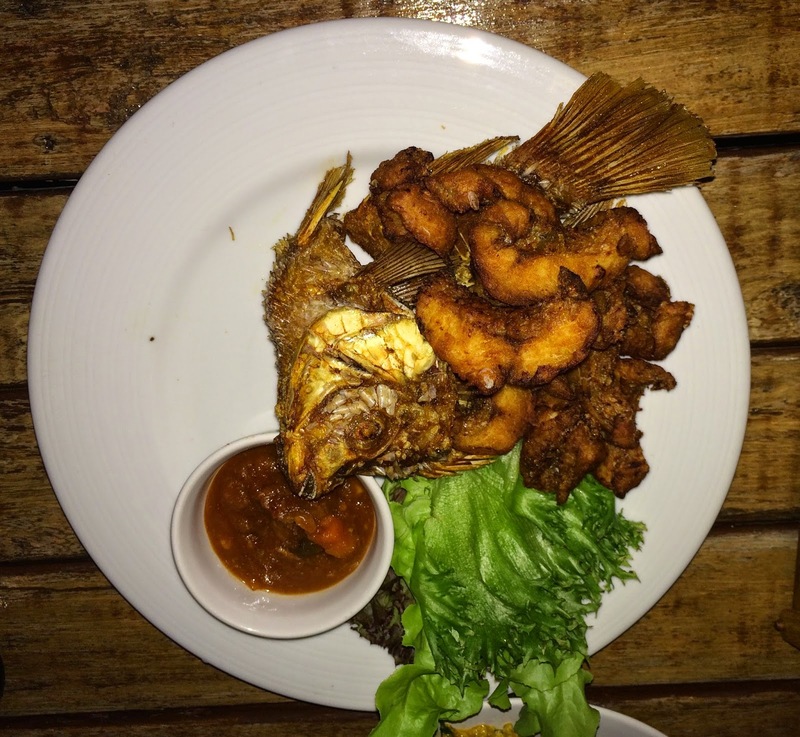 Again, the fried fish was pre-filleted and cut into pieces which made it easy to eat. Below are a few random photos. 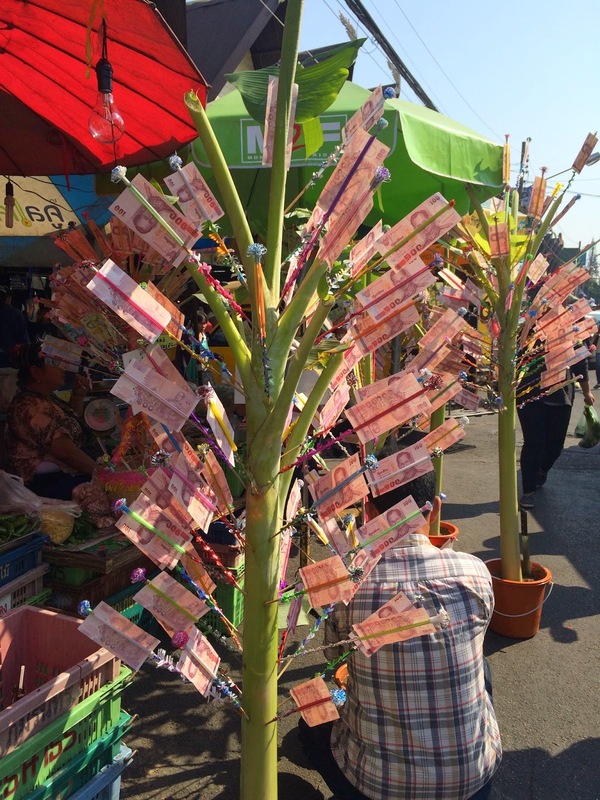 The first is a money tree for sale on the street where I usually buy fruit. I don't know, but suspect it is related to Chinese New Year, which is celebrated this week. We've heard that more than 200,000 Chinese tourists are invading Chiang Mai for the week. Fortunately, the majority of them are not staying close to where we are. Many people here are not happy about the visitors. 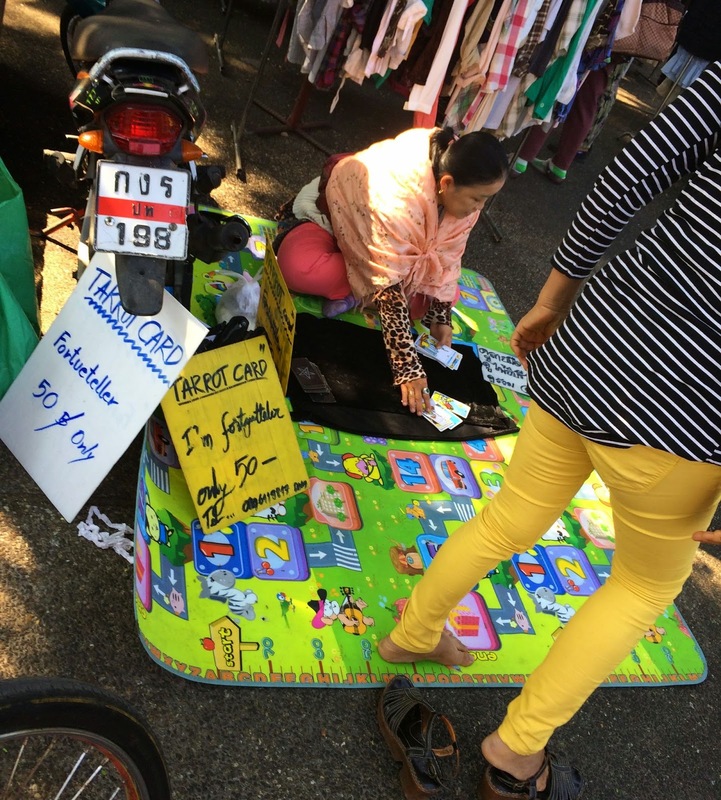 By the used clothing market in the plaza near Chiang Mai Gate, I saw this woman doing a Tarot Card reading. The customer was just leaving as I grabbed this shot. There is a temple on the soi where my Tai Chi class is held and I walk by there nearly every day. There is a row of praying figures along the top of the fence. 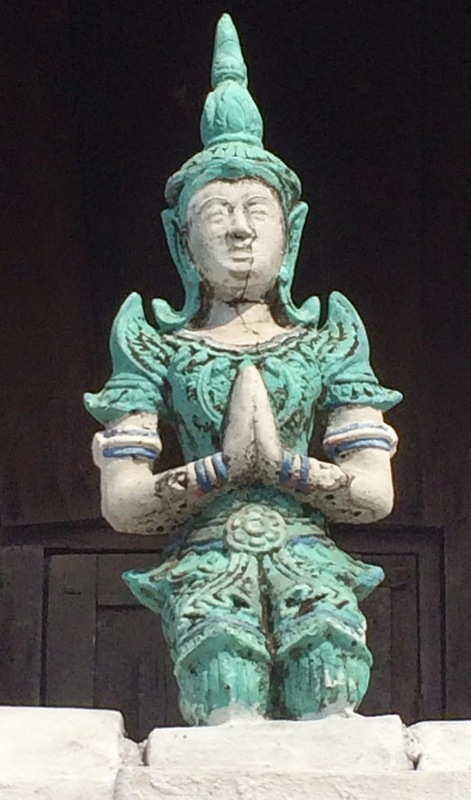 The paint is fairly old and the colors vary due to aging, but this one had quite a lot of its turquoise coloring still showing.